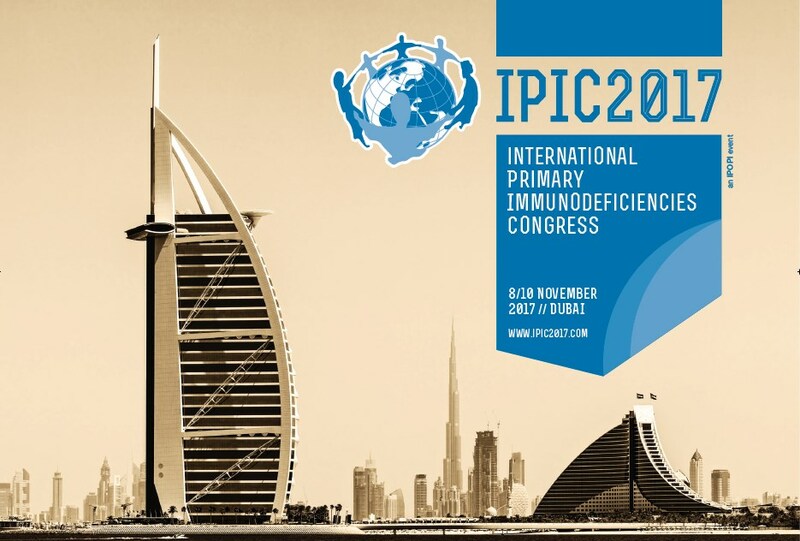 IPOPI will be hosting the third edition of the International Primary Immunodeficiencies Congress (IPIC2017) in Dubai on 8-10 November 2017! IPOPI, together with the Congress Organising Committee and the Scientific Committee, is putting together a great programme that will focus on key clinical issues facing doctors responsible for the care of primary immunodeficiency (PID) patients. IPOPI works with the best scientific and clinical experts in the field to ensure IPIC congresses successfully address PID clinical care priorities and drive positive changes in PID clinical practice. In 2015, 80% of CME attendees indicated that IPIC would change their clinical practise. Recently we invited some of them to integrate the IPIC2017 Organising Committee (OC) and the Scientific Committee (SC) to ensure young clinicians are also involved in the preparation of the programme. The role of the OC is to manage the overall programme of the congress while the SC is provides scientific guidance and support in the continued medical accreditation application process. IPIC2017 Organising Committee members: Jose Drabwell (OC President), Prof Bobby Gaspar, Dr Nizar Mahlaoui, Prof Martin Van Hagen, Dr Mehdi Mohammad Adeli, Prof Aziz Bousfiha, Prof Antonio Condino-Neto, Dr Adli Ali, Dr Beatriz Carvalho, Prof Surjit Singh, Marcia Boyle, Martine Pergent, Nurse Carla Duff. IPIC2017 Scientific Committee members: Prof Bobby Gaspar (SC President), Dr Charlotte Cunningham-Rundles, Prof Klaus Warnatz, Dr Saleh Al Muhsen, Dr Narissara Suratannon, Dr Monika Esser, Dr Suleiman Al-Hammadi.